My “prior life” ended nine years ago, when I left Salomon Smith Barney after devoting every ounce of my being to financial markets for 16 years. My insatiable desire for Wall Street success started with my first internship – at Paine Webber – at age 18; and the passion, dedication, and love I had for oil and gas – which I analyzed every day from 1996 through 2005 – was no less than what I put into gold and silver today. Back then, I was a bit more idealistic, at least, until April 2000, when I sold my last stock, followed my decision in May 2002 to put 100% of my liquid net worth into Precious Metals. Even after leaving Wall Street, I still had faith that the steady expansion of market manipulation could not overcome the “primary trend,” as Richard Russell calls it; and thus, that ultimately stocks would reflect their underlying fundamentals. In other words, “bubbles” would correct themselves no matter how much “PPTs” intervened and undervalued sectors – like mining stocks – would ultimately express themselves. In 2005, I still had a waning belief in traditional valuation metrics – although in mining, so few companies have earnings, it makes such analysis difficult. However, with each passing day, it became more and more clear that paper markets were increasingly becoming “lost in intervention” and today, I rarely even use the word “market” anymore. A few years back, GATA’s Chris Powell famously averred “there are no longer markets, just manipulations”; and in my view, truer words have never been spoken. Consequently, anyone who reads me regularly knows I rarely – if ever – speak of market valuations, certainly, not quantitatively. 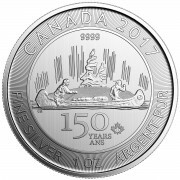 For one, I no longer “invest” in anything; instead, saving my entire net worth in my home, physical gold and silver, and a tiny bit of cash. In other words, I could care less about the price, valuation, or trend of the “Dow Jones Propaganda Average” – as not only is it artificially supported, but thanks to “survivor bias,” isn’t even comparable to prior incarnations. And oh yeah, it has performed miserably on an inflation-adjusted basis, per the below chart. Throw in the recent, dramatic increase in capital gains taxes – which I assure you, won’t be the last and the fact that traditional valuation metrics are at historically extremes, with interest rates artificially suppressed to near record low levels; and you couldn’t pay me to put a penny into Wall Street’s most blatant Ponzi scheme. Thus, my “bubble-calling” days are long behind me, as now that my strategy is comprised entirely of “financial defense,” I no longer speculate in financial markets. 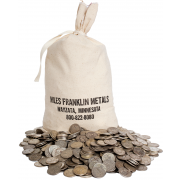 Conversely, my goal – and that of the Miles Franklin Blog in general – is to protect as many people as possible from the inevitable hyperinflation that all fiat currencies yield. 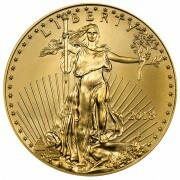 Ultimately, gold and silver will outperform essentially all asset classes in real terms; and thus, without taking essentially any risk (particularly at today’s severely suppressed prices, below the costs of production), I anticipate my purchasing power will be increased more with staid gold and silver coins than nearly all speculative investments. In the U.S., the only major difference in unemployment is the degree of statistical manipulation and in real estate, the extent of Wall Street speculation. Successive money printing sprees by Alan Greenspan (MUST READ, here) and Ben Bernanke have created “echo-bubbles” in both stocks and real estate. Only this time, the retail investor has long since been wiped out; and with mortgage rates already suppressed to historically low levels, there is nowhere for prices to go but down. Unless, of course, “Whirlybird Janet” hyper-inflates the dollar by formally announcing “QE to Infinity” which, of course, she will. To wit, today’s announcement that March New Home Sales plunged 13% – versus expectations of a 4% increase – tells the story loud and clear; as all it took was a miniscule 1% increase from last year’s record low mortgage rates to prompt such a collapse – and this, despite the recent re-emergence of, if you can believe it, subprime lending! And oh yeah, mortgage purchase applications fell another 3% last week, to another 20-year low. A plunging real economy has prompted the Fed – and essentially all Central banks – to print money at unprecedented rates prompting bubble after bubble to form, in essentially every paper market. Caterpillar stock trading at multi-year highs whilst sales plunge to multi-year lows is but one blatant example. But as they say, a picture is worth a thousand words, and if these charts – first of U.S. student loans, and secondly, student loan growth, compared to median post-university income – don’t say bubble, I don’t know what does. …and ends with this, even more terrifying chart of the percentage of speculative IPOs. There’s a reason David Einhorn – he who in 2009, gained “shadow world” fame by selling GLD, and using the proceeds to buy physical gold – proclaimed we are witnessing our second tech bubble in 15 years, and this is it. Conversely, there’s gold and silver which amidst the aforementioned, massively bullish fundamentals – not to mention, the near death of the mining industry, as prices have been artificially pushed below the cost of production – trading 33% and 62% below their 2011 highs. Honestly, “anti-bubble” doesn’t do justice to what TPTB have wrought on PM prices and sentiment; that is, here in the Western world, as Eastern demand has been setting record after record. 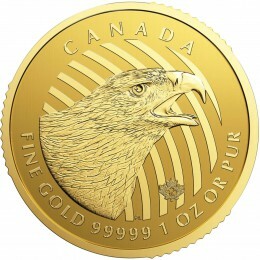 Heck, Eastern demand has grown so strong, it is causing rationing of U.S. Mint Silver Eagles; as I assure you, it is NOT Americans and Canadians buying them up. Frankly, today is as blatant as it comes; as just one day before another COMEX options expiration, even horrific new home sales and PMI Manufacturing reports weren’t enough to prevent Cartel paper raids at the 8:20 AM EST COMEX open, and 10:00 AM EST physical market close; the latter, simultaneous with the abysmal home sales report. To conclude, my “investment” days may be long past, but certain investment adages always apply whether to stocks, bonds, or gold. The first is that one should buy when there’s “blood in the streets,” and the second, to sell when eternal bullishness takes hold, at the expense of logic. In this case, no matter how manipulated paper markets have become the physical gold and silver’s fundamentals have never been stronger – let alone, at today’s “give-away” prices. As for stocks and bonds, you’re welcome to speculate all you want. But if you do, know this, at the current, historically high valuations, the only way they can possibly rise further is an acceleration of Central bank money printing. In other words, “QE to Infinity.” And when such actions become evident, we assure you stock and bond markets will NOT be the best performing assets!